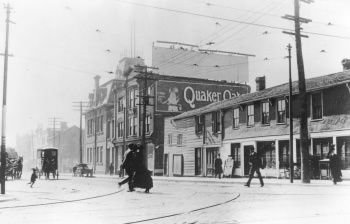 North east corner of Elizabeth and Albert street, 1916. City of Toronto Archives, Fonds 1231, Item 2173. By the late 1800s the area around Osgoode Hall had become an important receiving area for new immigrants. Various ethnic groups came to Canada at that time to flee persecution or to try to better their economic circumstances. 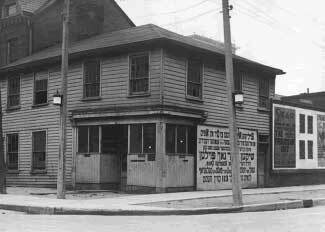 The first Jews in Toronto had arrived a few decades earlier. Most had been well-to-do and blended relatively easily into their new community. The late 19th century wave from Eastern Europe was poor and was not welcomed. 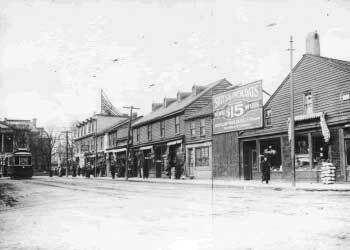 The Ward, as the neighbourhood came to be known, was popular with the new arrivals as it was close to their main source of employment: the ready-made clothing industry. By 1911 the Ward was a self-contained Jewish community with its synagogues, shops, schools, even theatres. A survey of 1911 lists the population of the Ward as follows: 1,207 Hebrew [sic] families, 180 Italian, 32 Polish, 25 German, 9 Chinese, 8 Coloured [sic], 7 French, 3 Armenian, 2 Macedonian, 1 Swedish, 1 Greek, 1 Assyrian. The various population categories can be confusing and sometimes misleading: the category “Hebrew” for example, would have consisted of immigrants from various countries of Eastern Europe. “Russian” would have included all groups of Slavic background. 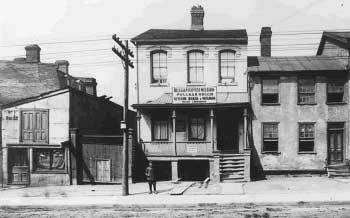 The Russian Baptist Mission on Elizabeth Street was opened in 1908 to serve Ukranian, Polish and Russian immigrants. The mission sponsored Bible readings, a reading room with foreign newspapers and evening courses in English and “native” languages. 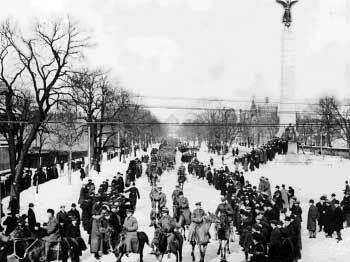 University Avenue has long been a favourite venue for parades of all kinds. The children of the superintendent of the government’s portion of Osgoode Hall were said to have the best view of the Santa Claus Parade in all the city. Their house can be glimpsed at the back of Osgoode Hall, behind the wall, just right of the South African War Memorial. The parade depicted here was one of many supporting war efforts over the years. University Avenue was the scene of military reviews, Victory Bond parades, Armistice Day parades and celebrations for departing or returning contingents. 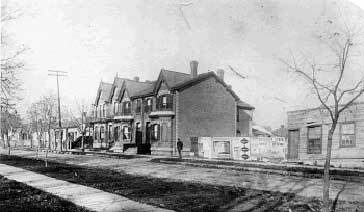 East side of University Street near Osgoode Street, c. 1890. Toronto Public Library (TRL), T 12816. York Street, looking south-west from Queen Street, 1909? Toronto Public Library (TRL), T 12925. This view encompasses the area where the William Mackenzie House stood until 1890.